Debates and policies concerning the relationships between educational practices and digital technologies are part and parcel of the daily agenda around student learning. Meanwhile, meritocracy persists globally in the higher education sector and the world is facing the challenges of post-truth enhanced by digital media (Peters et al. 2018). As such, our world has become a mashup of digital and non-digital experiences, made possible by different (and complementary) social and technological forces, which might be examined through the lens of the ‘postdigital’. The postdigital is not considered to be the opposite of the digital; it is rather an extension of the digital which acknowledges the politics, diversity, and contradictions related to ways in which the digital is experienced. In the words of Florian Cramer, ‘it is a contemporary disenchantment with digital information systems and media gadgets, or a period in which our fascination with these systems and gadgets has become historical’ (Cramer 2014: 13). In this contemporary conjuncture, the process of knowledge acquisition evolves through a complex interplay between postdigital features (Jandrić et al. 2018a) including but not limited to new ways to access, use, and spread information. However, divorcing facts from their context and largely ignoring these diverse relationships often persists as a widespread mode of knowledge generation and dissemination in the educational and academic community. In Learning in the Age of Digital Reason (2017), Petar Jandrić tries to avoid fragmenting knowledge into inherited academic silos and turfs. Jandrić is a professor whose research is focused to the intersections between critical pedagogy and information and communication technologies and his research methodologies are inter-, trans-, and anti-disciplinarity. As he points out: ‘I conceived this book as a transdisciplinary dialogue between people working in various disciplines’ and ‘in order to push readers beyond their comfort zones’ (Jandrić 2017: 7). Ineluctably therefore, Learning in the Age of Digital Reason represents a new challenge in critical approaches to digital education. Structured around deep conversations, the book exhibits a wide range of viewpoints surrounding this topic. Learning in the Age of Digital Reason reveals the wide-ranging context that surrounds human learning opportunities in a ‘postdigital’ age. These circumstances are explored by more than 20 interlocutors working in 5 broad disciplines—History and Philosophy, Media Studies, Education, Practice and Activism, and Arts—thus opening up possibilities for a holistic and global understanding of the learning processes conceived in relation to social, economic, and political forces. As Jandrić points out in a recent reflection; digital technologies have provided new opportunities for dialogue and collective intelligence (Jandrić et al. 2018b). Accordingly, conversations presented in Learning in the Age of Digital Reason not only are subordinated to the interlocutors’ answers but also exhibit nuances of Jandrić’s critical thinking. In the postdigital society, we often learn and generate knowledge through communication and dialogue (McLaren and Jandrić 2014); hence, Jandrić understands dialogue as a valuable research method. As Freire states: ‘The word, because it is a place of encounter and recognition of consciences, is also a place of reencounter and recognition of oneself’ (Freire 1970: 14). Therefore, perhaps the most valuable aspect of Learning in the Age of Digital Reason is its avoidance of one single true gaze. By arranging a space of encounter and clash of different voices, Jandrić provides visibility to many unique, often conflicting perspectives. Hence, it is the reader who, through the word, recognizes their own position and constructs their own critique. The Challenge of Education: Subversive or Oppressive Technology? 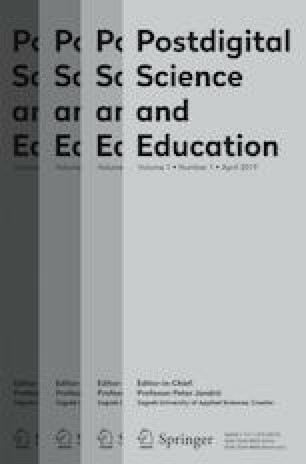 Since education policies and technological innovations have historical and philosophical implications, it seems important to (re)consider the teacher’s perspective as one of the most implicated agents in the learning process. Larry Cuban argues that the relationship between teachers’ knowledge about technology and intensity of their use in the classroom is not directly proportional and has more to do with teachers’ historical role as gatekeepers. Using a similar line of thought, Andrew Feenberg—philosopher of technology and student of Herbert Marcuse—is not in favor of technological determinism. Feenberg questions how it is possible to use digital technologies in education when neoliberal ideology encourages largely contents that are measured in economic terms which conflicts with a critical and emancipatory understanding of learning. His critique of neoliberalism is well supported by different viewpoints from interlocutors in the book who discuss a wide range of implications: understandings of digital networks vary from discussion of horizontal communications, to perceptions of how inequalities in contemporary capitalism are fostered by commercialism, including new forms of surveillance. Undoubtedly, digital technologies offer new possibilities and also challenges in education. One of the multiple considerations is how to relocate the teacher in new technological learning contexts where knowledge is not only implicit in the figure of the educator, but dialectical with many other digital and material elements. However, many teachers are skeptical towards established new learning models and (perhaps falsely) equate introducing technologies with innovations in teaching and learning. Thinking about virtual education as magical thinking, we often seem to forget the political, social, and economic roles of schools and universities. That is why Cuban points out that public schools have a fundamental role in a democratic society and that Ivan Illich’s (1971) deschooling is still a deeply relevant mode of thinking. Andrew Feenberg argues that Frankfurt School theories remain relevant since the consciousness of individuals remains controlled by consumption and mass media. In the process, the reader is rewarded with some indispensable notions about the history and evolution of the Internet. Viewing technology as an important element of social change, Feenberg consequently suggests that an interdisciplinary approach to the Internet and communication is essential. However, considering evolution of the Internet up to date—originally conceived by the US military, it has become a universal system for human communication— it is not utopian to expect digital technologies to reach beyond capitalism. Inevitably, several crucial questions are left unanswered in relation to the ideological struggle within and outside education but digital technologies present a fascinating point of departure. Michael Adrian Peters observes that there is no point in looking at theories and ideas in isolation. In relation to the interdisciplinary approach advocated by Feenberg, Peters warns that more people will increasingly ‘come together collectively to advance their research’ (in Jandrić 2017: 34). For Peters, the digital age is determined by collective intelligence and collective action, which reminds the reader of Pierre Lévy’s (2004) theories of collective intelligence. Developing notions such as philosophy as pedagogy and pedagogical philosophy, Peters considers that cybernetic capitalism is a new social condition which results, at least partially, from digital postcolonialism (see also Peters and Jandrić 2018). Within these conditions, Peters wisely addresses and supplements Feenberg’s dialogue and discusses how and why public education has become an institution of social control. Petar Jandrić embodies digital studies in some of the dialogues about relationships between technology and culture. In these conversations, we can highlight some fundamental concepts such as cybercommunism, counterculture, and new vectoralist class. The dialogue with Fred Turner distinctly illustrates how computers have become an emblem of counterculture which has evolved into cyberculture. Nowadays, counterculture and consumer culture work together; roles of teachers and public intellectuals have irreversibly changed from developing practical skills and technical abilities to learning about and building networks. While counterculture and New Communalists claimed that people are in charge of their own learning, not everyone lives in the same world where equal opportunities for learning are a key value. At this point, it is worth stopping and thinking about the reality of the democratization of (virtual) education. Turner concludes with an understanding of the Internet as an organic living system which promotes more creative and holistic thoughts. Yet, this approach seems to depoliticize the Internet, and it should not be overlooked that the Internet is a sphere of political struggle. As a corollary, this chosen framework enlightens an often forgotten ideological relationship between educational institutions and technologies. From his experiences as a radio activist and Internet researcher, Richard Barbrook criticizes the eternal debate between the state and the market in relation to Internet freedoms. In 1996, this idea was first presented in his influential article ‘The Californian Ideology’ (Barbrook and Cameron 1996) which resulted from a critique of neoliberal ideologies in and around the Internet. Jandrić and his profound questions bring about an interesting and detailed dialogue in which Barbrook explains that social media do not merely provide content but also develop their own media economy. Understanding the Internet as a public space where everyone can be a broadcaster, Barbrook claims that the Internet is a do-it-yourself space which allows hacking technologies for various purposes, including emancipation from technological fetishism and perhaps even a cybernetic communism. On this basis, Jandrić emphasizes his transdisciplinary approach by focusing some of his questions to relationships between Marxist theories and his interlocutors’ works. McKenzie Wark, who experiments with new ways of writing, analyzes the importance of thinking critically about the current forms of communication. He firmly advocates an antidisciplinary approach for understanding the world and being critical about the hypocritical structure of (academic) knowledge. He suggests a new diagram for depicting the workings of today’s technology, an infrastructure connecting the world together through information vectors, which is related both to labor and capital. Wark claims that higher education has been colonized by the new vectoralist class. In the age of the Anthropocene, we must find new ways for creating knowledge, and teachers must take an active role in this process. This conclusion, which is one of the main messages of the whole book, will require active collaboration among disciplines. Learning in the Age of Digital Reason proves to be especially significant in regard to pedagogical struggle. As Jandrić (2017) points out, it is important to explore relationships between critical pedagogy, information technologies, culture, and power. Under these premises, Henry Giroux addresses some key points in relation to education, social responsibility, and politics. Instead of supporting good education, technologies controlled by neoliberalism are subordinated to profit. Giroux’s long-term coauthor and friend Peter McLaren claims that education is no longer seen as a social responsibility because it is shaped by companies and corporations. McLaren critiques postmodernism as a way for generating capitalism via information technologies and the notion of human capital which, according to Marx, is a necessary precondition of capitalist societies. Giroux stresses that the Internet has potentials for developing participatory democracy, yet that potential is far from fulfilled because of political restrictions. Technology is cultural; hence, it is pedagogical, and people need to read and produce media critically in order to project their own voices, produce desired futures and identities, and struggle against a pedagogy rooted in individualism and radical competition. McLaren considers that “every educator should be involved in making history by struggling to make the world a better place by connecting their local concerns to larger global concerns” (in Jandrić 2017: 180). Unfortunately, many educators have been exempted from that responsibility—perhaps they forgot the shared ideological burden that is implicit in all education. In relation to widespread digital education, Siân Bayne explores the differences between the concepts of transhumanism (which is an extension of the humanist perspective) and posthumanism (which does not see education as production of a certain kind of subject). Bayne claims that digital education is not a technical concept and suggests that digital culture is an outdated term because we now live in a postdigital era. In our postdigital era, people need to abandon the idea that being in a physical campus is a privilege. According to Bayne, open education is a way of enabling access to education and its materials, yet it also creates closures—a good example of this dynamic can be found in Massive Open Online Courses (MOOCs). Facing some problems such as intellectual property rights, digital education presents many possibilities for learning improvements because it is built around the idea of the network. Then, the challenge lies on how teachers want to partner with algorithms and guarantee that education technologies maintain a critique of digital reason perspective (Peters and Besley 2018: 2). Jandrić proposes that technologies and activism have an intense relationship; personal computers have been invented to extend humankind abilities to think and communicate. However, according to Howard Rheingold, computers have soon become commercial tools and the humankind has been colonized by the tech. Rheingold rejects the distinction between physical and virtual communication, because Internet communication is real and enables learning together and critical emancipation. Due to all these possibilities, people often think that the Internet has more power than it actually has. With this conclusion, Rheingold echoes Cuban’s views to magical thinking. He explains that people are not liberated or empowered because they use digital tools, and teachers do not innovate because they use technologies in the classroom. Social change might happen once people recognize more critically a multitude of purposes for which they might use their social media knowledge. Astra Taylor—the activist and the film-maker who experienced unschooling during her childhood—claims that human beings are born to learn. Taylor claims that traditional schools are authoritarian and oppressive, and that they make students learn for the wrong reasons. She believes in educational child liberation through which children can acquire freedom, dignity, and trust. The unschooling movement, of Deschooling society (Illich 1971) and other inspiring historical practices such as the Modern School Movement (see Avrich 2005), is very different from homeschooling. While the latter tries to protect children from a risky and dangerous world, the first uses the world as a classroom where children can experiment and develop a positive view to human nature. Unschooling is democratic because it provides children with a permission to see themselves as members of society and with an ability to develop their personal autonomy. Marcell Mars and Tomislav Medak believe that the Internet has liberating and democratizing potentials. Two of their many projects, Multimedia Institute-mi2 and Net.culture club MaMa, are examples of their idea of freedom—they do not work with corporations, and all their activities are free for the public. Looking for a place where activists could work together and where knowledge and culture are accessible to all people regardless of their social or economic status, they develop an interest in public access to knowledge. At present, it is not the citizens who govern and develop the common good (Escaño 2013). Therefore, Mars and Medak consider access to knowledge as a universal condition and strongly support knowledge commons. Their recent project, The Public Library (Memory of the World 2019) is a part of a wider movement for free access to copyrighted publications, including but not limited to Library Genesis, Science Hub, UbuWeb, and others. Mars and Medak are aware that only educated citizens can fully participate; in consequence, their work is strongly connected to democracy. Many of the views collected so far are totally or partially contrary to Marshall McLuhan’s account of technological determinism. This, perhaps, situates the dialogue with Paul Levinson among the most controversial chapters in the book. Levinson, who has extensively worked with Marshall McLuhan, is deeply influenced by his work. Levinson argues that McLuhan’s tetrad consisting of amplification, obsolescence, retrieval, and reversal can be effectively applied to the Internet. Calling himself a soft media determinist, Levison presents his specific view about Internet freedoms. Levinson claims that the economy is not running the Internet and agrees with its commercialization—thus presenting a position which is heavily contested by other interlocutors in the book. Art and knowledge always have a political dimension. Emerging in the 1960s and 1970s, TV art and Internet art were by and large inspired by an urge to change the world. Nowadays, the Internet is conceived not only as a medium but also as a cultural product (Castells 2003)—thanks largely to people like Kathy Rae Huffman, who introduced Video Art and Internet Art to the museum audiences in the second part of the twentieth century. Having similarly inspirational roots, Dmitry Vilensky subscribes to forms of art which develop emancipatory possibilities. Although it is easier to work in isolation, collective work is need in order to transform the present system of education which appears primarily designed to satisfy the needs of the capitalist system. Founded in 2003 in St. Petersburg, his art collective ‘Chto Delat?’ (What is to be done?) has later founded The School of Engaged Arts influenced by critical pedagogy of Paulo Freire and Augusto Boal and also by Bertolt Brecht’s dialectic theater. Understanding contemporary media art as a pedagogical tool, it promotes culture in and for society (Escaño 2014). In the last conversation with Christine Sinclair and Hamish Macleod, Petar Jandrić emphasizes that there are so many factors that influence ways people see and interpret the world. In Learning in the Age of Digital Reason, points of view conceived by different people and in different disciplines coexist and collaboratively create a wide range of multidisciplinary knowledge. The book does not only provide an overview of education, postdigital culture, and technology but also present many examples of critical thinking about democracy, cultures of participation, and human interaction with technologies. Aimed at anyone interested in these topics, this well-written book resurfaces old theories, introduces new ones, and establishes bonds between the past and the present. It is a challenging read for readers interested in democratic struggles over education. Given the hesitation to generalize, the limitation of theories or approaches presented in Learning in the Age of Digital Reason does not seem problematic and further sources are offered for readers’ consideration. Approaching technologies (including, but not limited to) the Internet from an educational perspective, Learning in the Age of Digital Reason provides us with a multitude of rich transdisciplinary perspectives. This makes Learning in the Age of Digital Reason a unique and ground-breaking book. We cannot forget that the Internet, as a cultural product, is also a common good which enables people to share, create, and spread culture through intercreative practices such as collective intelligence. Having the chance to participate in the digital sphere is a right, not a concession. One of the most rewarding things about Jandrić’s book is its focus to critical thinking. Knowing what the public sphere was, what it is, and what we want it to be, these collective perspectives point towards future developments of emancipatory democratic practices for social justice. Jandrić, P.; Ryberg, T.; Knox, J.; Lacković, N.; Hayes, S.; Suoranta, J.; Smith, M.; Steketee, A.; Peters, M. A.; McLaren, P.; Ford, D. R.; Asher, G.; McGregor, C.; Stewart, G.; Williamson, B. & Gibbons, A. (2018b). Postdigital dialogue. Postdigital Science and Education, 1(1). https://doi.org/10.1007/s42438-018-0011-x. Lévy, P. (2004). Inteligencia colectiva. Por una antropología del ciberespacio. Resource document. Organización Panamericana de la Salud. http://inteligenciacolectiva.bvsalud.org/public/documents/pdf/es/inteligenciaColectiva.pdf. Accessed 8 Feb 2019. Memory of the World (2019). Public Library. https://www.memoryoftheworld.org/blog/cat/public-library/. Accessed 4 Feb 2019. Peters, M. A., & Besley, T. (2018). Critical philosophy of the postdigital. Postdigital Science and Education, 1–14. https://doi.org/10.1007/s42438-018-0004-9. Peters, M. A., Rider, S., Hyvönen, M., & Besley, T. (2018). Post-Truth, Fake News. Viral Modernity & Higher Education. Singapore: Springer. https://doi.org/10.1007/978-981-10-8013-5.